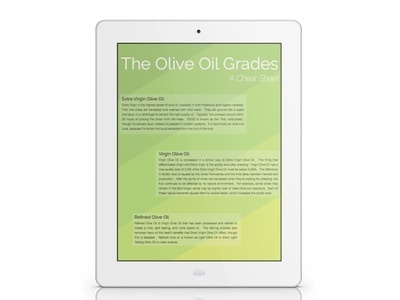 Compare the different characteristics of each grade of olive oil. 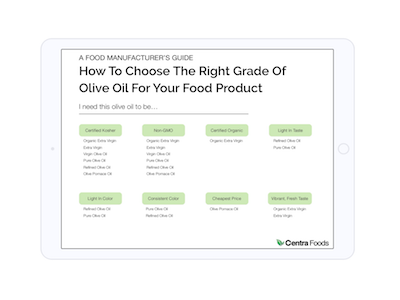 After reading this guide, you will know about olive oil grades, basic characteristics and features, and best uses for each grade. A comprehensive list of all of the wonderful ways you can use olive oil. Find ideas you've never thought of in health, beauty, garden and home care. 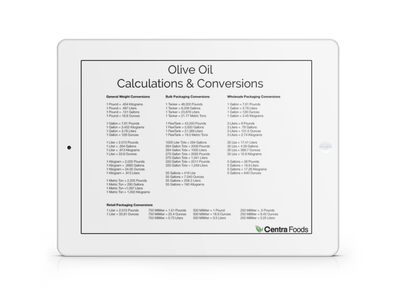 A conversions cheat sheet, providing the calculations you'll need to convert olive oil from english to metric and from weight to volume (and vice versa). Helps you compare pricing and packaging apples to apples, even if it's in different units. This cheat sheet will quickly and simply explain what the different grades of olive oil are and how they are made. 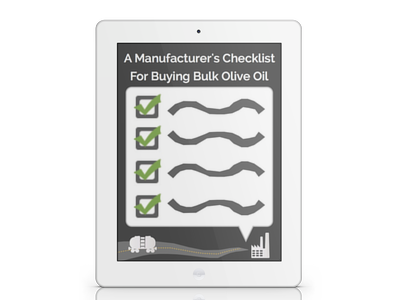 This checklist is made specifically for the manufacturing industry, to walk you step-by-step through the pre-buying stages for bulk ingredients. 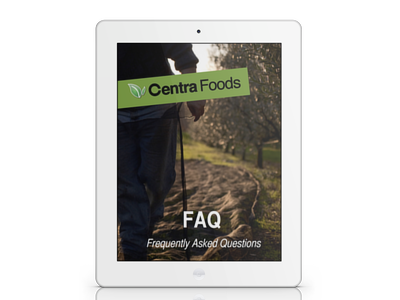 Read the most common questions and answers from our customers. Learn the basics about what we offer, about our oils, how buying works, how to be set up as a customer and more! 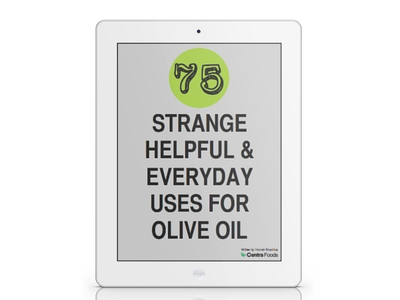 Learn what make Organic Extra Virgin different from regular Extra Virgin Olive Oil, and how it may affect (or not affect) your recipes or manufacturing. Learn about the Kosher Certifications for olive oil, and what it means to be Kosher certified. Learn what makes each grade unique and how the oil manufacturing process works. Understand the chemical differences and requirements for what makes a grade, along with what each of their best uses are in your recipes. Not sure quite what you're looking for? This will help!